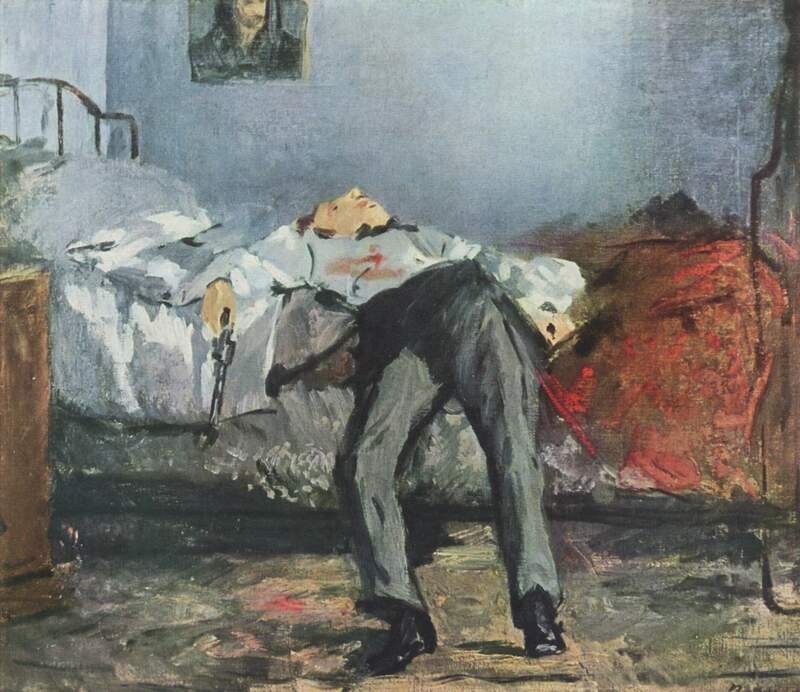 In Manet’s Suicide the victim still holds the gun with which he shot himself, a hint either that we are witnessing the very moment that he shot himself or that all is not quite what it seems. 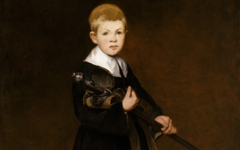 That feature has intrigued Manet specialists before: a dead man would have dropped the gun.1 The man, of course, is a painter. His shirt is white like a blank canvas. The gun is “his brush” and, in "shooting" himself, the man has painted himself equating the liquid of life with the essence of paint. Besides, as noted elsewhere, the word execution often signifies the making of an artwork while death symbolizes its completion. 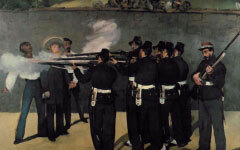 Manet, The Suicide (c.1871) Oil on canvas. Foundation E.G. Bührle, Zurich. 2. 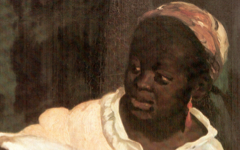 The earliest use of a hidden symbol in Manet's oeuvre for the Legion d'Honneur, at least that I have found, is the string of large red rosettes in Lola da Valence in 1862.